Magna-Peel laminated postcards give you extra impact in your direct mail (or bulk mail) marketing. Your business card magnet is glued to the surface of the card, giving you the most convenient way to get your magnet & message into your customers' hands. 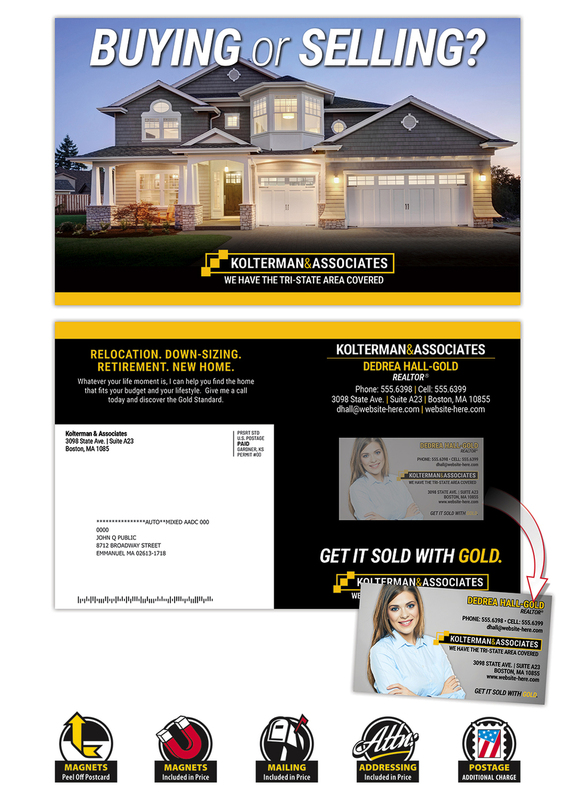 Magna-Peel postcards give you extra impact in your direct mail (or bulk mail) marketing. Your business card magnet is glued to the surface of the card, giving you the most convenient way to get your magnet & message into your customer's hands. Studies show that postcards with magnets attached are much more widely read than ordinary direct mailers. We offer the processing of one mail ready* address list at no extra charge. Additional lists will incur added processing fees. Postage is extra. Postcards are not automation compatible mail.